But it relies on mass production and marketing in a very crowded marketplace. Working in a small workshop and searching for making distinctive quality furniture I choose to work in finished wood products. Correct use of materials and production methods are important to me. This is the practice of working to reduce waste and energy costs as well as using safe materials and finishes. It is particularly challenging with small series furniture where crafting costs are high and production methods old fashion. I have long worked with all kinds of wood product materials and been inspired by scandinavian and italian designers who have research applications in both building and furniture. In 2011, I began a research to find a new way to make chairs and thereby discover new forms and relationships.This March I presented the «Folds» chair at a small exhibition in Bern. 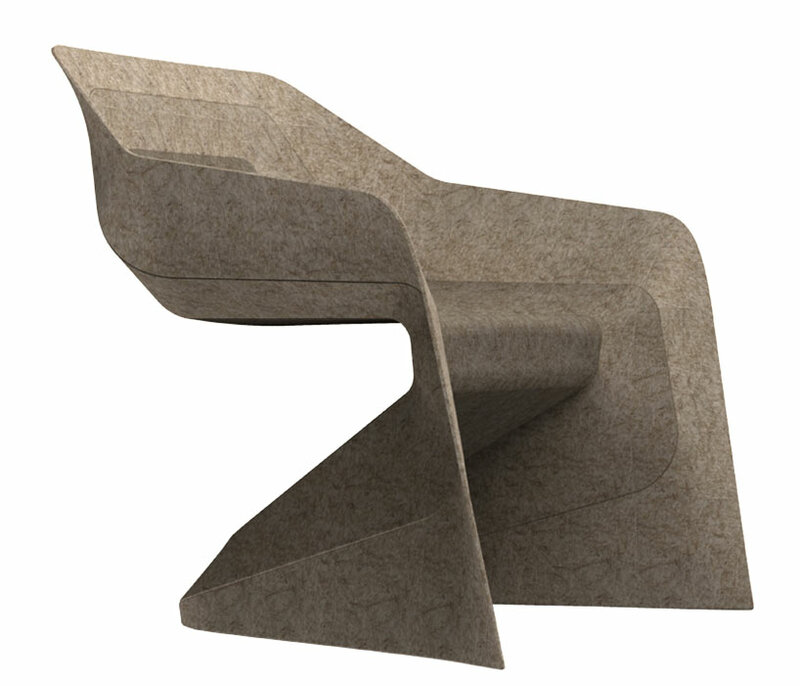 The name described how the pieces of wood are folded at the joints which brings a fresh angular character to the seat while offering a comfortable solid wood chair. I am now looking for a production partner to bring this distinctive chair to the marketplace. 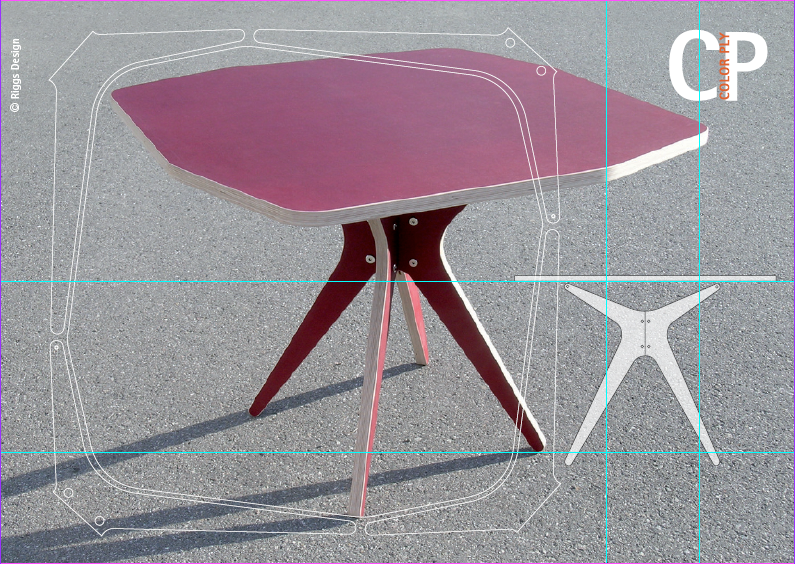 In 2007, I developed and exhibited the CP (Cut/Paste) line of tables where a rectangle of sheet material is CNC cut so that the legs come from the corners of the table top and can be assembled with simple fasteners. 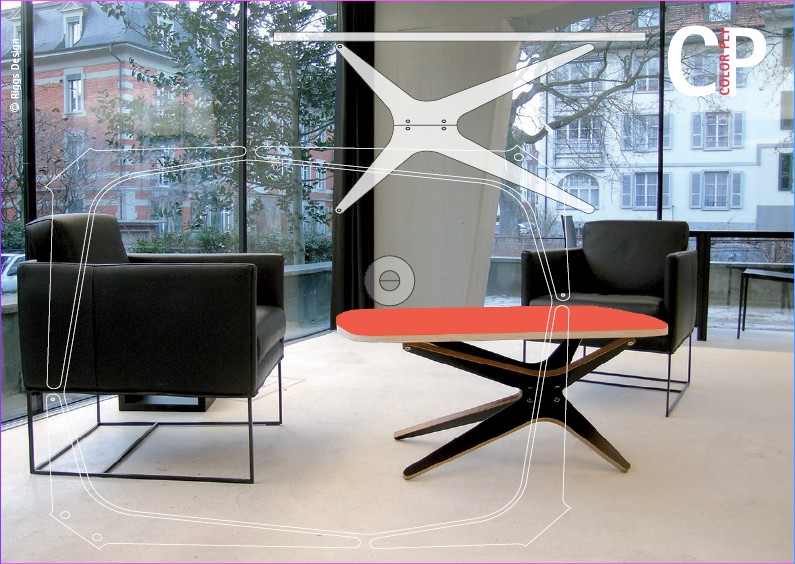 This resulted in three very interesting forms which create very comfortable and optimized seating around them. The “dining” table 8 sided form isn’t too soft like elliptical tables but allows people on the same side of the table to see each other. The table top floats over the legs and the whole piece is quite light in look and feel. 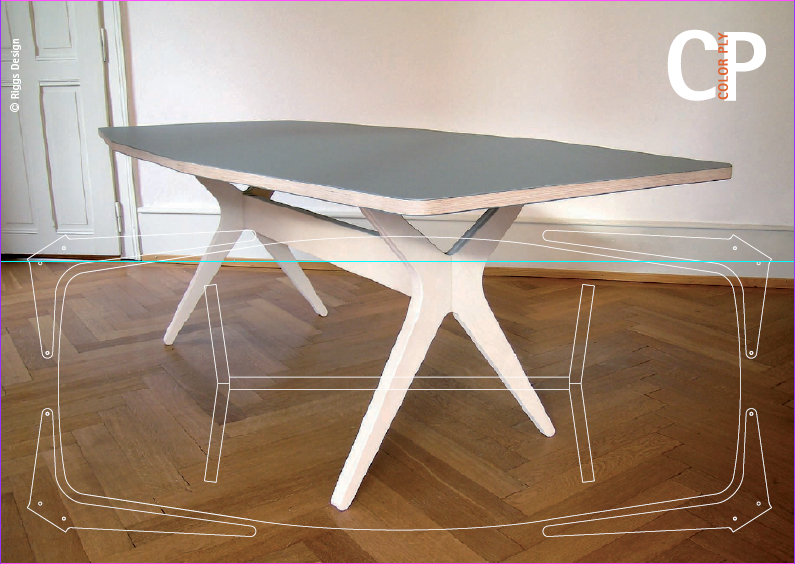 The red plywood «Treff» table has the wonderful aspect that up to 8 people can sit around it and each has a “place”. It has more surface area than a round table but also no corners to prevent people from sitting around it. It also works very well as a break out room or individual work table as well as kitchen table. In restaurant or school room applications the form creates a new organization patterns which are more interesting for users and guests. 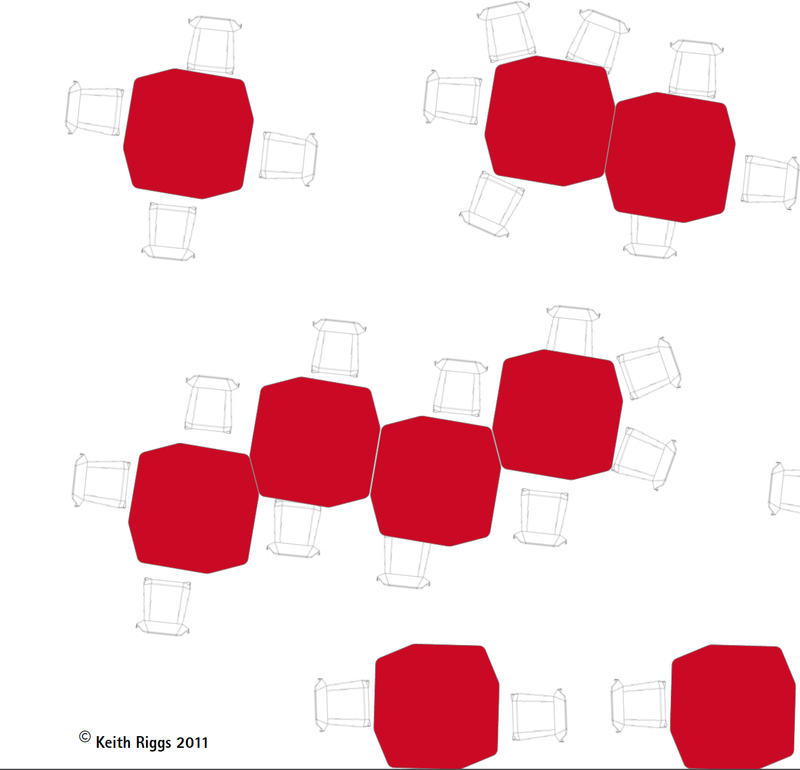 The interaction behaviors and assembly possibilities bring about new social patterning which is fresh, lively and casual. The CP-Salon table has a fresh form. The table top can be ordered in several forms and lengths because I organize the templates to reduce waste and make them by hand.